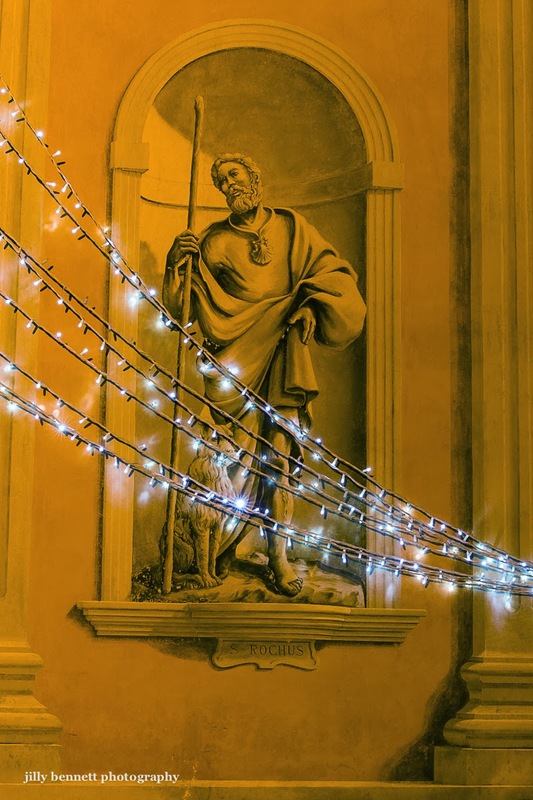 St. Roch garlanded in lights. Saint-Roch decoré de guirlandes de lumières. What a good eye you have. This has made an unusual and interesting photo. I think he's having a vision from another world. The contrast of the monochrome background is offset perfectly with the swath of lights. Bravo! Wishing you a wonderful, healthy, and happy new year!